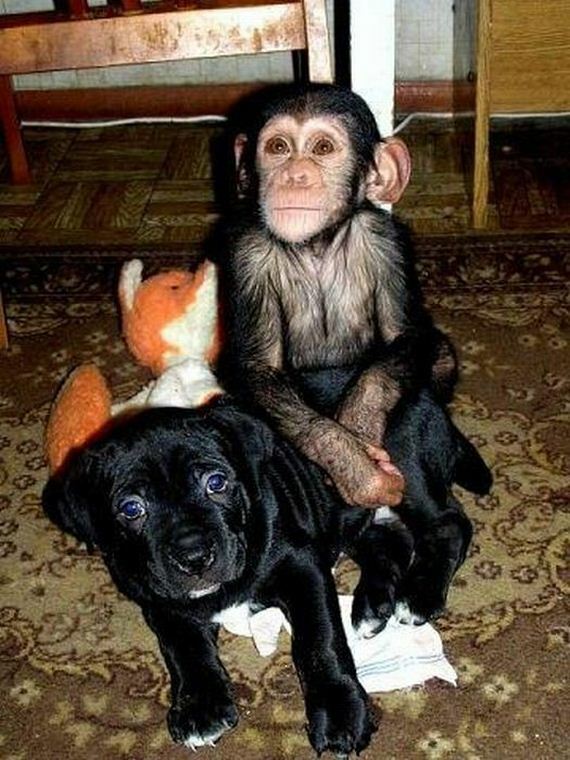 I'm sure some of you have seen these pictures but if you haven't I consider your life incomplete. 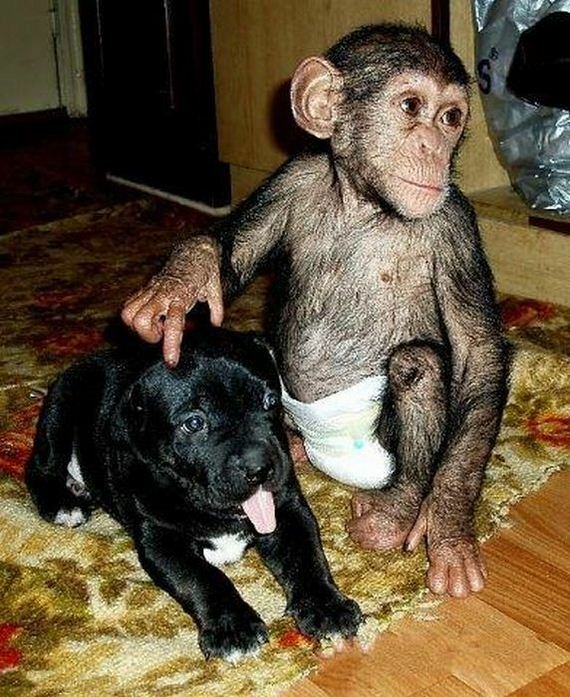 This baby chimp, born in a Russian zoo, was taken home to be raised by one of the keepers after its mother died, (or in a different version of the story, she abandoned her infant.) 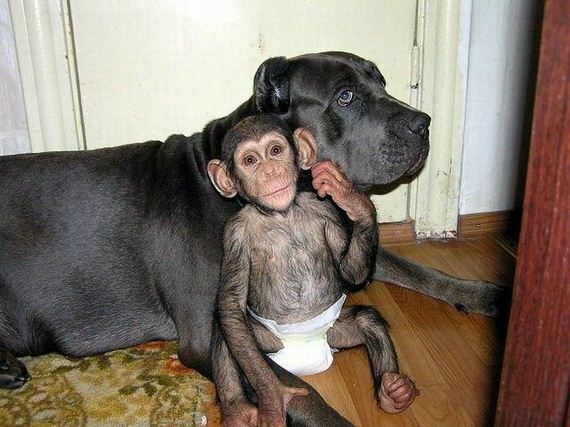 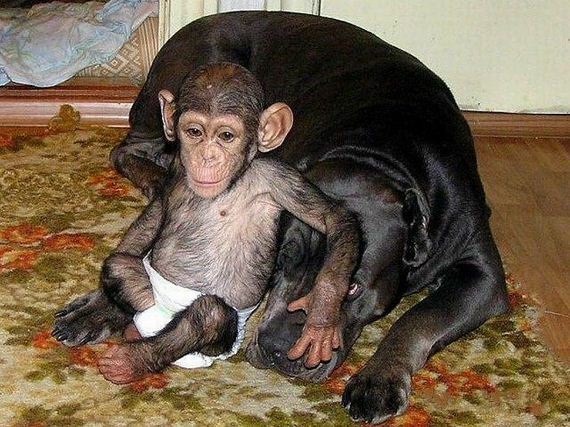 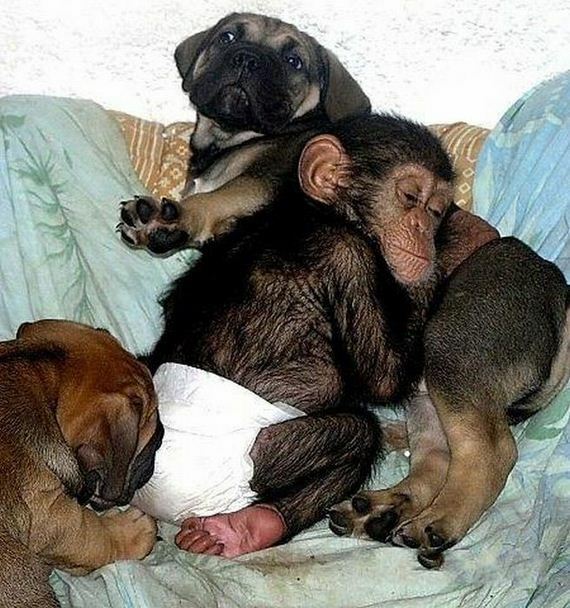 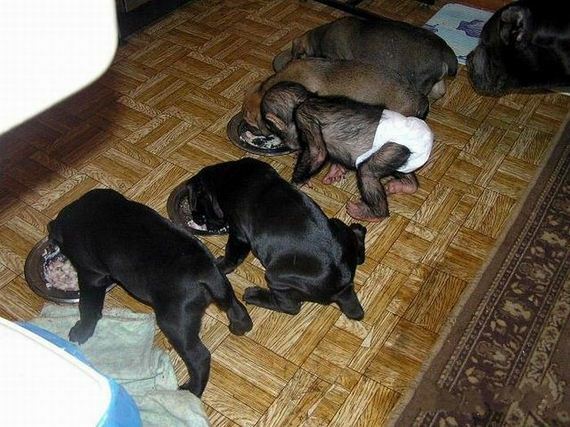 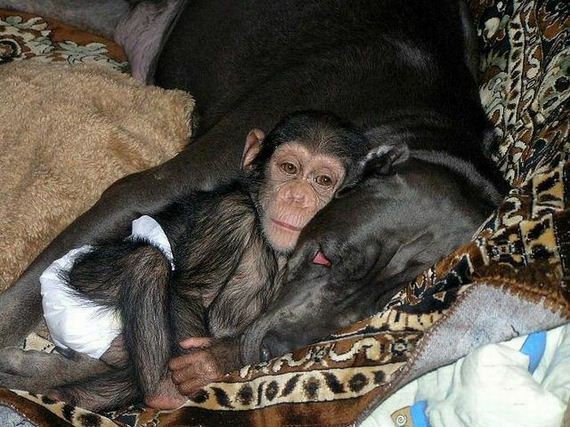 The keeper's mastiff had recently given birth and adopted the baby chimpanzee, too.